On the heels of the Samsung Droid Charge launch, Verizon appears to be suffering through a mini-meltdown as their speedy 4G LTE network is experiencing outages nationwide. Granted that Big Red is known heavily for their stellar network capacity, no one is always one hundred percent infallible from experiencing some sort of network hiccup. We’ve already received tips from a couple of our readers saying that they’re unable to get 4G LTE connection with their HTC Thunderbolts. Adding to the already frustrating event, they even go on to say that they’re unable to even get access to 3G speeds – but rather, they’re simply stuck with 1X connections. Verizon is currently aware about the nationwide problem, and based on their Twitter account, they’re feverishly trying to get down to the problem and correct it. So far, there is no word on when normal service will resume, but considering that we’re just less than 24 hours away from seeing the Samsung Droid Charge launch nationwide, this undoubtedly doesn’t bode well for potential owners tomorrow. Let’s hope it gets corrected quickly to bring everyone back to speed! Thanks Alex, Mike, & Richard! 4G??? I'm not even getting 3G. been at 1X all morning and still. WTF, and just days after someone in Verizon that there were minimal hick-ups. If this is a hick-up I would hate to see a burp. I disagree with the hate for Verizon. They LOVE Verizon. Have you not seen all the ads for them on here? They also love apple because apple is the new God I guess. I think it's a featured story because it's happening to what's considered to be the most reliable network and less than 48 hours before the launch of the Samsung Droid Charge. In the message up above, VZW only mentioned the LTE network, it kind of makes me wonder if they intentionally had to shut down 3G to isolate the problem because these outages are happening from coast to coast. Aparently they were shot out of the sky. LOL! see i's not just AT&T that has problems.. it's wireless that has problems. I have just one question. Why is it that when Verizon has any kind of a problem with their network, which does happen no one's perfect, it's a featured story, but any other carrier can have network issues and it's barely mentioned? *pokes my head in* I haven't had any 3G connectivity issues on my X, so it must only affect users with LTE radios. If your LTE gets cut off, cant you continue using Ev-do rev A? or do you have to set it manually and reset your phone? Same issue in OKC,OK. 1x only. Verizon called me yesterday and told me that the coverage they show on the map does not reflect what my Thunderbolt will do. The thunderbolt does not get "ANY" data in extended areas. Nice phone. I have had several android phones. All had coverage in these areas. The forgot to tell me when they were selling me the phone that it only had data coverage in 30% of the state. In the meantime (thanks to spurschamps2007) do this and you will have 3G in the meantime! Dial ##778# and hit send * A pop-up window named EPST will show up giving you 2 choices: View Mode and Edit Mode. Pick: Edit Mode. * Enter the Password: 000000 * Go down to Modem Settings and pick “Rev A“ * You’ll want to choose enable and click OK, hit the menu button and then press “Commit Modifications.” * Restart your phone and you should see 3G is working To switch back to 3G/4G, follow same instructions but choose eHRPD. Wow! That worked like a champ. I have been stuck at 1x all day, now I'm up in 3G!! 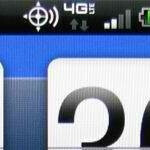 how is it that they have both the 4g and 3g towers go down at the same time? i know the entire verizon network is interconnected but comon verizon this is a pretty large mishap. It's not just LTE, it's 3G as well because I don't live in a LTE area and I've been on 1x since April 26 @ sometime because I was asleep when the problem started to occur. When other networks go down there's stories on that as well. For example when T-Mobile's sidekick lost their customers info. There's been lots of stories on AT&T's network issues. it's not all 3G either. It's just the eHRPD & 4G network that is down. 3G works no problem once you do the steps I posted above. The eHRPD is the simultaneous voice & data on 3G that us Thunderbolt users have as that is why only Thunderbolt users are affected with the 3G. Follow the steps posted above and in no time you will have 3G (not simultaneous voice & data) and 4G when available. You will wanna switch it back to eHRPD when network is fully restored if you wish to enjoy the simultaneous voice & data. Just got off the phone with a verizon customer support tech. He told me that verizon 4g phones are not capable of recieving data in extended network areas. The map shows that you can but that is not the case. Would have been nice to know that info when I bought the phone. My droid x did fine in these areas. Food for thought when buying future devices. I told the tech. that would have been something that should have been told when selling the device. He said "Yes that should have been info that was passed on to the comsumer.". LMAO.